The crossroads of FinTech, RegTech, and Financial Inclusion! 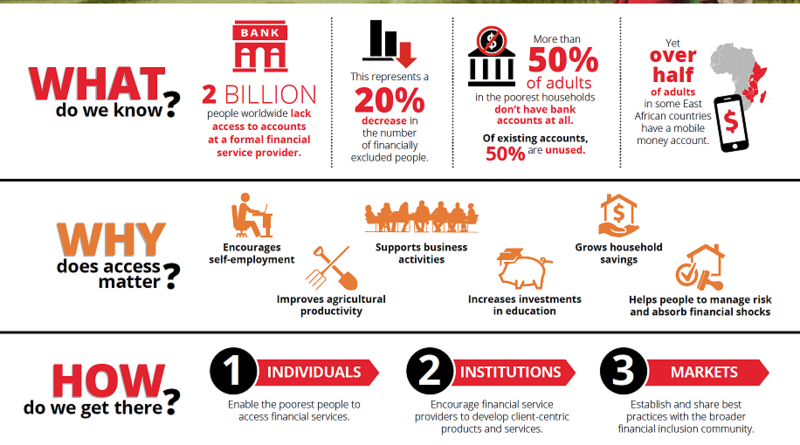 Agency Banking will drive financial inclusion. Join the leaders at Digital Impact Awards Africa #DIAA2018. Book your tables now! Let us talk Agency Banking. Agency Banking for Financial Inclusion; Are we ready? Profit from insights of experts on how to prioritise investment in Agency Banking. Learn the practices that will drive an effective Agency Banking model. Discover how bad practice in Agency Banking may lead to loss of customers, increase promotional budgets and risk of regulatory intrusion. Understand what leading brands are doing well in Agency Banking in other countries and where they too need to improve. Review competitive dynamics in Agency Banking. Gauge readiness to succeed with Agency Banking. Use expert insights to tap the monetary rewards in the Agency Banking value chain.